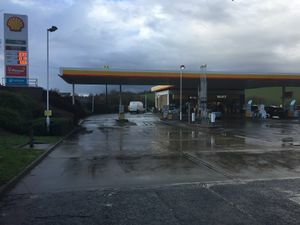 A petrol station and fast food offer at the southern end of the A41. The junction here mainly serves the services. The site was developed by Margram. This used to be a Total with Café Nescafe. There was a Little Chef in Bourne End village, which opened in around 1975 and closed in 1995, after the bypass opened. Margram planned to add a Little Chef to the facilities here in the year 2000, but it was refused on road safety grounds.